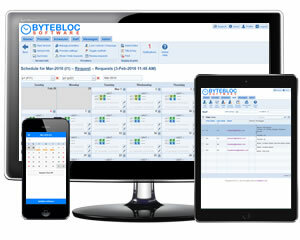 ByteBloc Software was founded over two decades ago by an emergency physician to help other emergency medicine physicians and providers with their emergency rooms schedules. The scheduling software is tailored specifically to meet the many and complex facets of scheduling the work for emergency providers and clinicians. It can be accessed online or through mobile apps at any time and it supports viewing an up-to-date master schedule, entering time-off requests, trading shifts, payroll reporting, and much more. ByteBloc software has been implemented by emergency rooms in all 50 U.S. states, Canada, and several other countries. DBI Software is a provider of breakthrough Database Performance Solutions that deliver invaluable results for organizations across the world. The tools provide performance analysis on large databases to identify issues and bottlenecks and provide fixes and advice to improve performance. 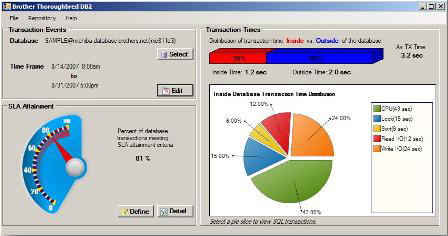 It allows for constant monitoring of all transactions and detects whether the performance issue is inside of the database or within external applications. A custom alerts system allows the DBA to monitor the database performance real time to prevent any performance issues from impacting the business. Novi Survey is an advanced and easy to use web survey software application that can be installed in-house or used online to conduct advanced online surveys and assessments. The survey application comes with an extensive feature set to easily create advanced online surveys to gather valuable feedback. The online surveys can be taken in any language and can include more than 75 question types and variations that can be displayed in highly visually appealing and professional templates. 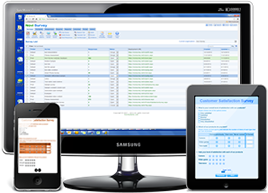 Supports extensive conditional logic, customizable templates, robust security management, advanced survey reporting, and a survey portal. Copyright © 2000-2019 - 3rd Millennium, Inc.